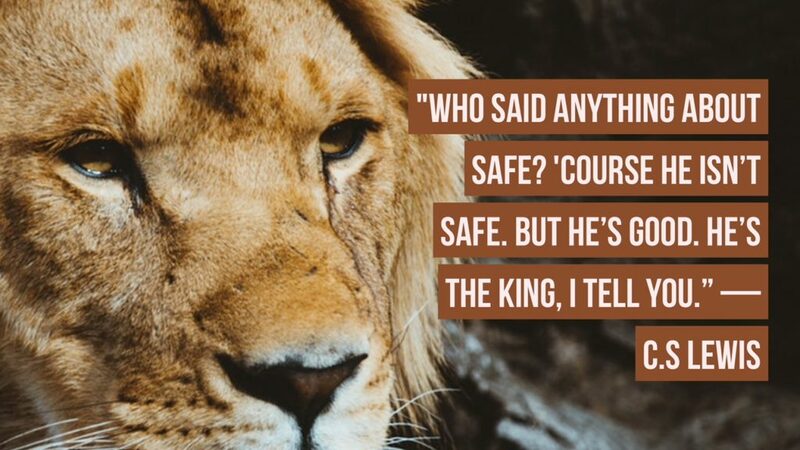 There’s a famous scene in the story The Lion, The Witch, And the Wardrobe where the kids ask if Aslan — C.S Lewis’s version of Jesus — is a ‘safe’ lion. The reply is ‘he’s not safe, but he is good’… is equally true about Jesus. 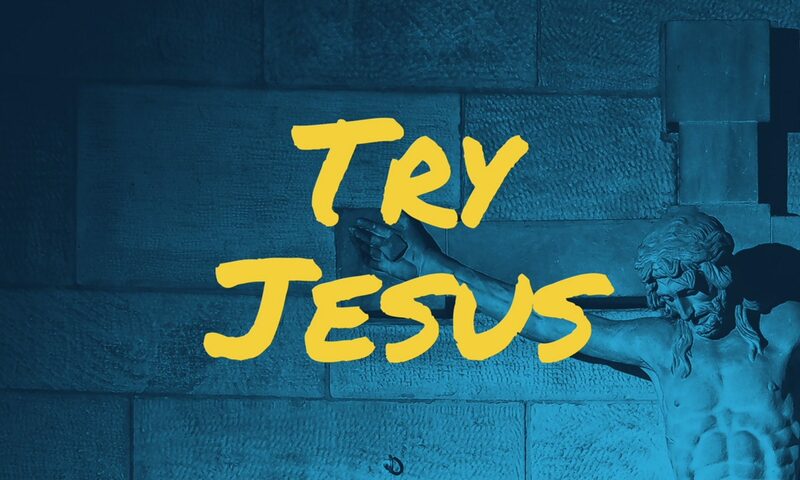 Jesus is not simple domesticated figure from history who you bring into your life because he is tame and house trained. Jesus is not safe. Too much stuff about him tries to make him ‘domesticated’, the sort of God you might turn to like an ATM to support your life and to live well on your terms. Jesus is not safe in that sense. Or tame. Or simple. When he calls himself the ‘good shepherd’ he’s talking about a profession where you had to be able to fight off wolves and lions… he is strong, he holds the universe in his hands, and yet he is good. He is strong, and yet those hands were fixed to splintery timber by metal spikes so that he died an excruciating death that was meant to be humiliating. He looked weak and yet this was a different kind of power on display. The Bible explores this paradox by calling Jesus both ‘the lion’ and ‘the lamb’. Paradoxes create some pretty crazy mixed metaphors but as we dwell on this imagery and let it fire up our imaginations we get a pretty compelling picture of a person who is both dangerous in terms of the power he wields — dangerous for those who oppose him — and yet safe for those he uses that power to protect. Imagine inviting someone like this into your home. Into your life. You don’t expect the status quo to be maintained, or that you are setting the agenda for what they require — but life certainly becomes better if it’s true that this person, this king, never acts out of self interest but always ‘for the good of those who love him’… here are some things Paul said after his life was turned upside down by Jesus (Paul started out as a dangerous guy who travelled the Roman world killing Christians on behalf of the Jewish establishment). The change in his life — from ‘lion’ to ‘sheep’ was astounding. 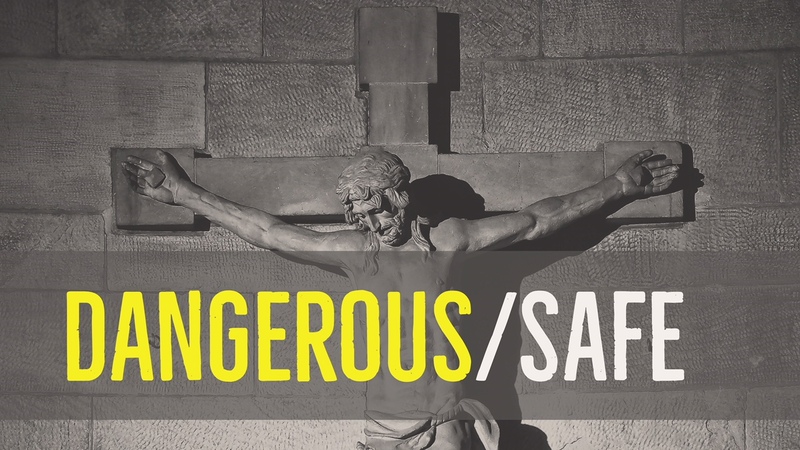 He was able to write this because Jesus is dangerous, he didn’t leave him as he was, he turned his life upside down — but also because Jesus is safe — he didn’t use his power to destroy Paul even though Paul had been seeking to destroy his followers.